Stress: Stress affect the vascular system thus reducing the amount of oxygen and nutrients reaching the hair cells. In effect stress can cause the scalp to tighten. The body shuts down production of hair during periods of stress. Healthy Tip: Good choices include whole-grain food, multigrain breads & oatmeal. Also include oranges, spinach, fatty fish, black tea, nuts and almonds, raw veggie’s. Another bedtime stress-buster is the time-honored glass of warm milk (skimmed/double toned milk). 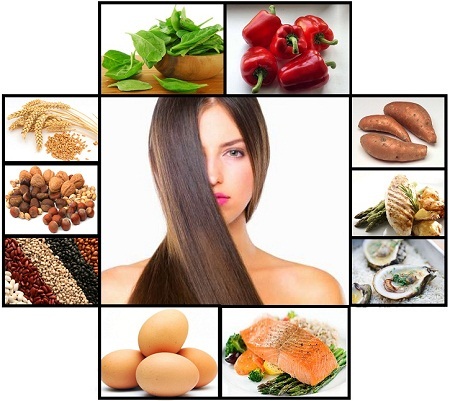 These foods can help to reduce stress and provide healthy scalp. Healthy Tip: Go for high fibre foods (whole wheat, whole grains brown rice etc) and protein rich foods such as legumes, soya, fish and lean meats and non-fat dairy products to prevent hair fall and keep the scalp healthy.